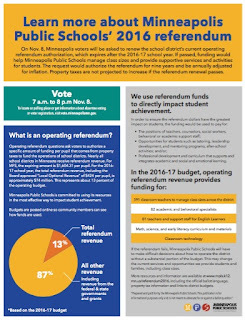 Minneapolis ECFE Parents Council: Vote Yes! PS - Did you know you can vote before Election Day by absentee ballot for any reason? Early voting began on Sept. 23 and runs through Nov. 7. To locate early voting in-person sites or get information about voting by mail, visit vote.minneapolismn.gov.